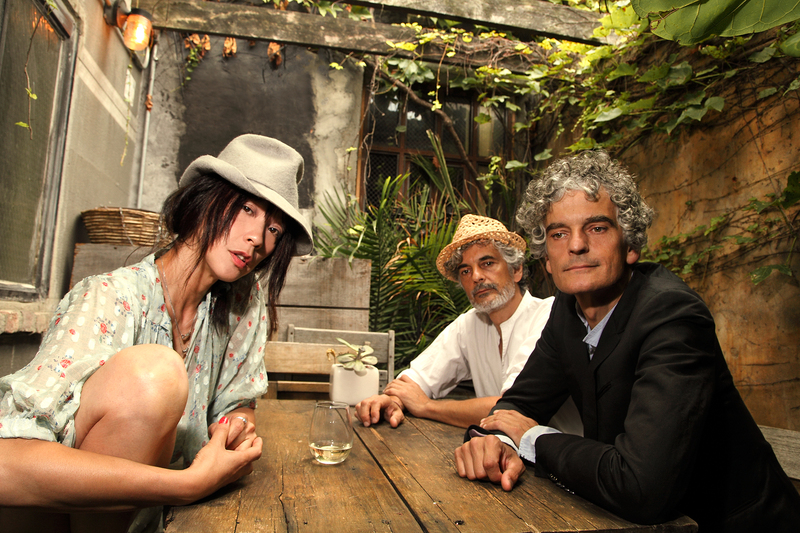 Blonde Redhead is a band whose music speaks for itself. And sure, by definition, that is what being in a band is all about—writing, recording, and performing something worthwhile. Yet there exist so many artists today who build their reputations on a foundation of publicity stunts (“Imma let you finish but…”), ceaseless social media interaction, and endorsements. A sad thought to think that perhaps that’s just the way the industry operates now. But in this current age, in which a quantifiable number of twitter followers may often times trump true musicanship, it’s refreshing to see a band like Blonde Redhead maintain consistent quality throughout the course of their 20+ year run. Amidst preparation for a full US tour, which makes a stop at The Waiting Room on June 16th, singer/drummer Simone Pace agreed graciously to answer a few questions we had about this ‘quality over quantity’ business, among other things. buffaBLOG: Blonde Redhead has certainly been around the block. After 20 or so years of playing together, what keeps the three of you so dedicated to your craft? Simone Pace: It always feels like we can do something better and there is always an urge to learn how to get there. We have always pushed each other that way. bB: I would imagine working with each other, though obviously very rewarding, can be a frustrating experience at times, especially as brothers. Am I justified that assumption, or have the two of you (Simone and Amedeo) found a good balance in that regard? SP: Well like any other creative collaboration it is at times frustrating and family is always complicated….imagine twins! However we never take difficult situations or conflicts for granted as there is always a chance that something will sprouts which could be a step forward in the development of a song. bB: How have you managed to maintain such consistent quality of your music over the years? Is it the result of a high personal standard, or something else? SP: We usually don’t settle for something that’s not meaningful to us. We have also been lucky to have great pillars around us at the beginning of our career like Fugazi, Unwound, the Make Up. We learned through them how to be true to ourselves. 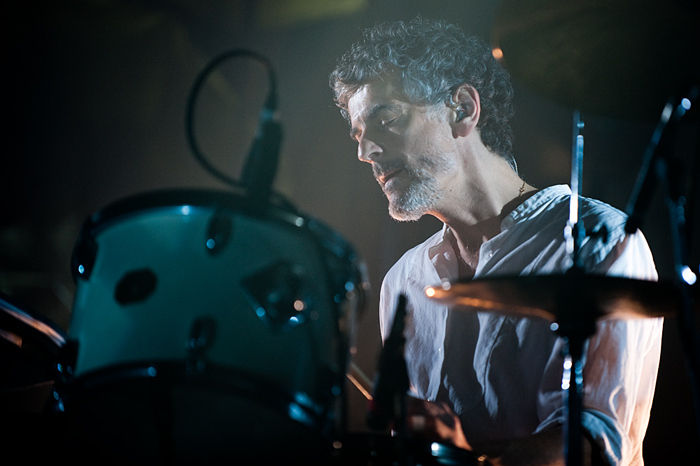 bB: Blonde Redhead has worked with a number of record labels. Do you feel that you switch often to avoid stagnation, or perhaps to avoid pressures of reinvention? SP: I think we have always switched when we felt we had done enough records. It’s usually a mutual decision between us and the label. I personally feel like 3 records is a good number to really get a sense of what a label is about and enough for us to contribute to its formation and development. bB: Have you scrapped a lot of material along the way? If so, how often do you revisit older ideas? SP: Oh we have so much stuff that has been scrapped throughout the years and it’s always fun and disturbing to go back and listen. We do that often enough. Some ideas really reflect a place and time and that can be a real trip! bB: Barragán is decidedly a bit more organic and spacious compared to your earlier releases. Was this shift intentional? SP: Yes very much so. bB: How has your writing / recording process evolved to arrive at that point? SP: With our producer Drew Brown, we adventured to make a record that would have only real instruments. Nothing digital but only analog. It was very restricting however having those limits made it more focused and structured. bB: Regionally speaking, Blonde Redhead is about as diverse as it gets. What are some of your shared / varying musical influences? SP: We are not music nerds in any way. I think we all listen to a lot of different things and sometimes the ideas behind what we hear in the music changes. Another words it’s hard to say what influences you because the same song can affect you completely differently from one moment to the next. We share a lot of music together but why we listen to it might be a total different experience for us as individuals. bB: Are there any current artists on your respective radars? SP: Deerhunter, The Notwist, Cluster, Nuno Canavarro, Suuns, just to name a few. bB: Your Barragán tour brings you to Waiting Room in Buffalo this June 16th. 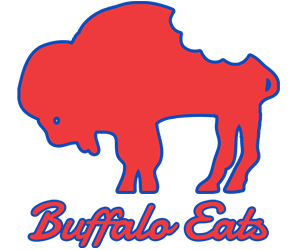 Have you ever been to Buffalo? What do you know about our fair city? SP: Never been there. Look forward to it. bB: After touring so extensively, I’m sure the three of you have it down to a science at this point. Aside from gear, what are some essential items you never leave for tour without? SP: Just things that make you feel comfortable and connect to home I guess. Kazu brings a candle and some oil fragrances that she sets up in the dressing rooms and her hotel room. She is more particular about must have items but they always make a great difference to our environment. Ame and I bring jogging shoes and try to go for runs…..oh and bathing suits. bB: What are some of your favorite moments from tours past? Do the three of you have a unanimous favorite show you’ve ever played? SP: Days off are great! Especially abroad when you can rest and go to visit a city that you have never seen before. That always feels like a gift. We all loved our last Paris show….it was overwhelmingly emotional.